Still on Fero devices, which are becoming very popular amongst smartphone users, we have brought you this one. The Fero Royale J1 device is a very significant member of the popular “Royale” series. The series could be said to be the most popular amongst all of Fero device series. Other members include the Royale X1 and Royale A1. Let us walk you through the specs of this device and how well we approve of it. The Fero Royale J1 has this usual beautiful look which is very synonymous with a lot of Fero devices. The device could pass as a sleek and shiny one. The device measures 140 * 70 * 7.9 mm, while it was built with a Titanium based metallic back. We are concerned about the weight of this phone given its build. The device comes in two color variants – Gold and Space Grey. Having a display size of 5.0 inches, the display resolution of the phone is set at 1280 * 720 pixels. The display type is an IPS capacitive touchscreen display. With this display size, you would most likely need just one of your hands for operation. As you would expect, multitouch is supported on the screen. The device runs on an Android operating system v5.1 Lollipop. Well, I believe we could pardon the device for still having this operating system. 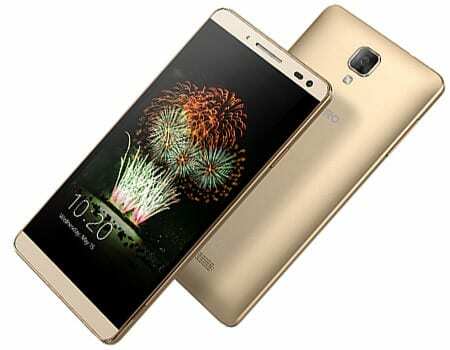 Fero Royale J1 phone is built on a Quad-core MediaTek MTK6735 processor. The processor speed is set at 1.3 GHz which seem quite poor if our view was sampled. For storage of music, videos, documents and files, the Royale J1 avails users with an 8 GB space. This can be expanded to a 128 GB capacity, with the help of a micro SD card. Taking care of the smooth running of applications on the device is a 1 GB RAM. Though this is small in this present age, we’ve got just to look over. On its rear, the device sports an 8 MP camera. This camera comes with Auto focus and LED flash. While on the front, there’s a 2 MP camera and like its counterpart, it comes with a LED flash too. As its powerhouse, the Fero Royale J1 device packs a 2000 mAh battery. You would agree with us that this phone was obviously not made for heavy or average users. Light smartphone users can surely find solace in this device. But average and heavy smartphone users would need to go into something more than this. Do you want battery power from Fero? FERO ROYALE A1 is recommended. The cost of the Fero Royale J1 device ranges from N30,000 to N35,000 on online stores nationwide. The price would depend on your location in the country.